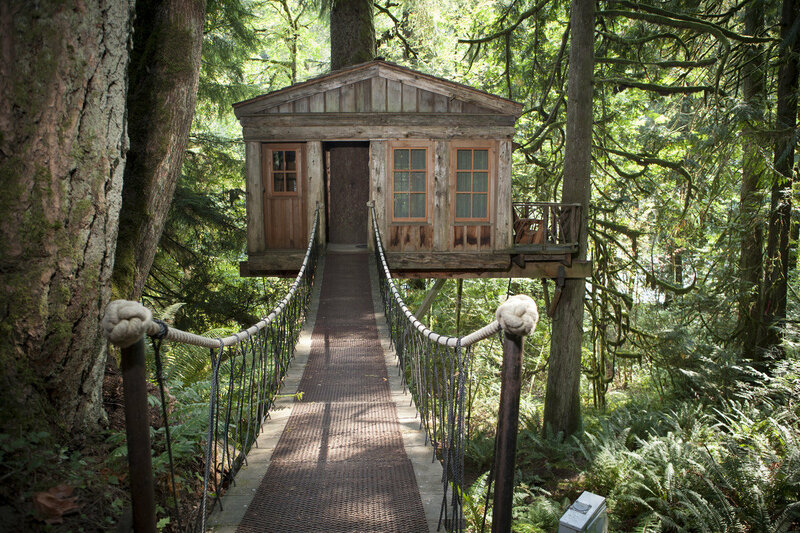 Who hasn’t dreamed of living in a Peter Pan-style tree house — with a few 21st-century comforts thrown in? 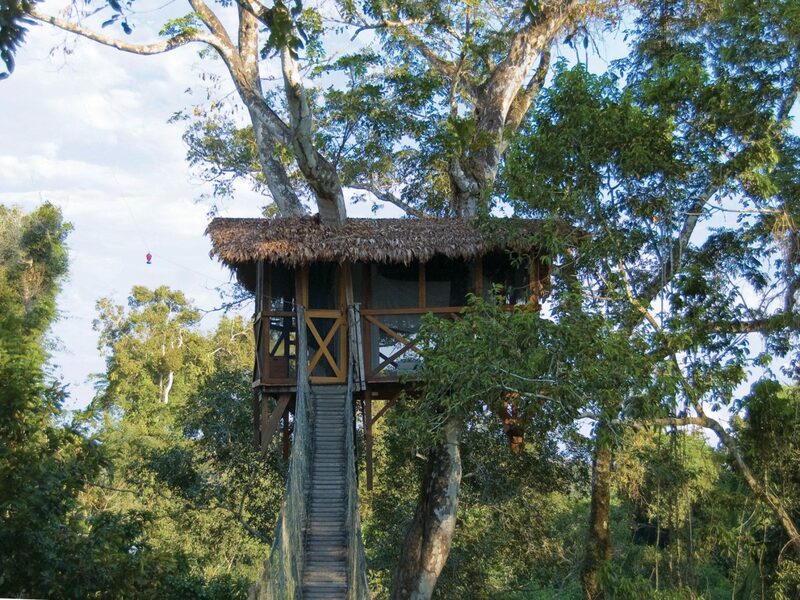 Here, we round up nine of our favorite tree house hotels for a relaxing sleep between the branches. 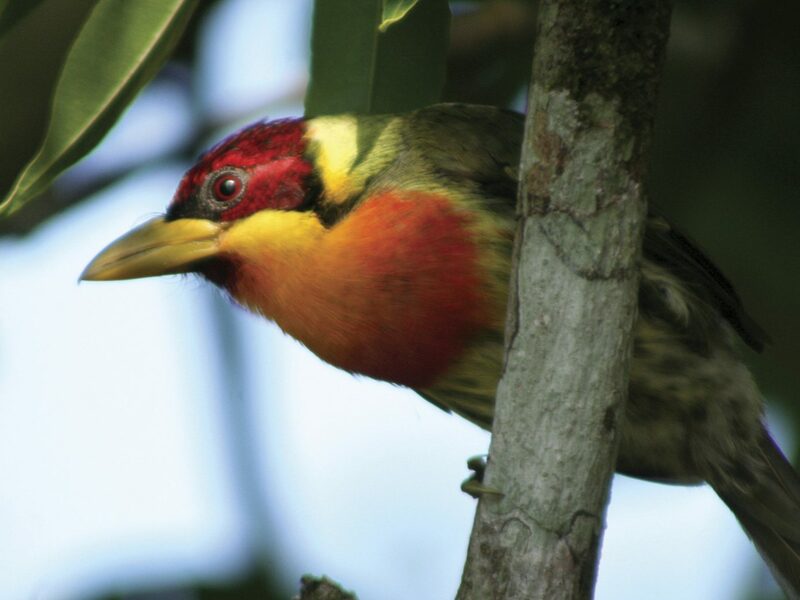 Getting to Inkaterra’s jungle outpost involves three flights (to Lima, Cusco and Puerto Maldonado) and a 30-minute boat ride on the Madre de Dios River, but the effort is repaid tenfold with once-in-a-lifetime wildlife encounters, expert-led jungle walks and romantic accommodations. 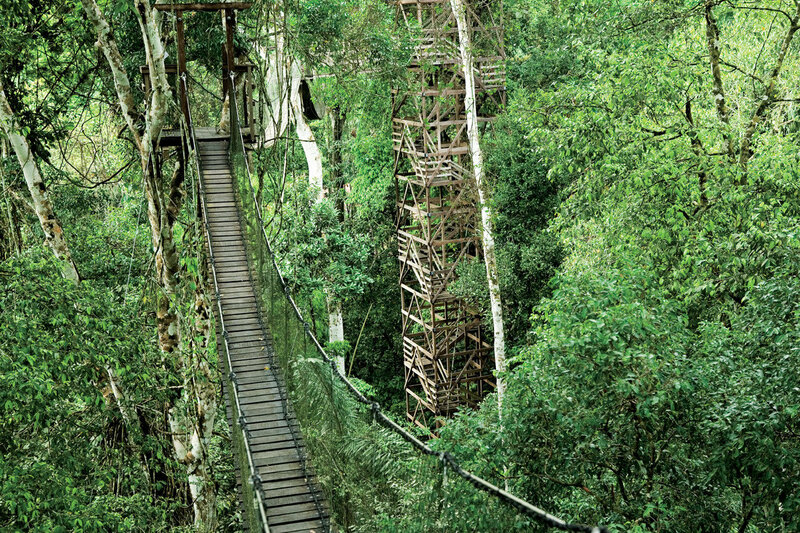 The jewel in the already weighty crown is the Canopy Treehouse, set on the highest and most remote platform of the 1,130-foot Canopy Walkway. 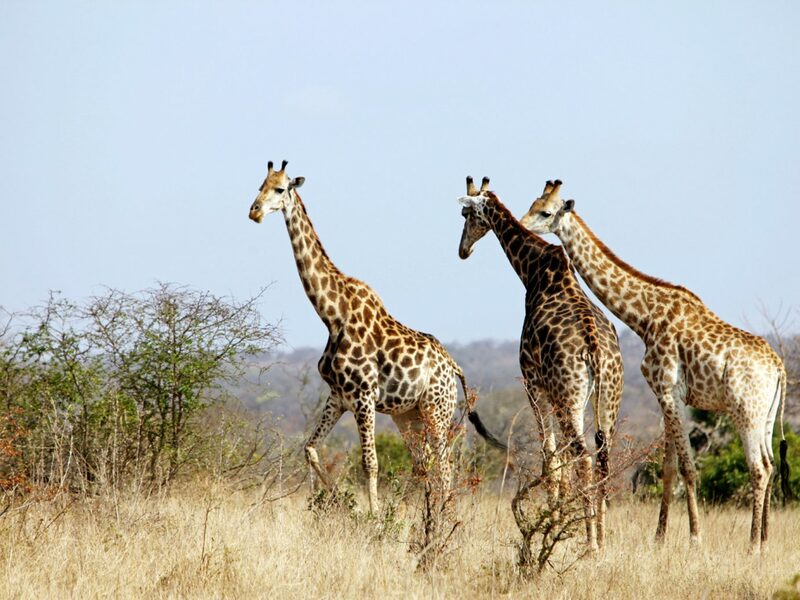 A butler is on hand to help with bags, sundowners and light meals, but guests are otherwise completely alone among the numberless bird, animal and insect species. 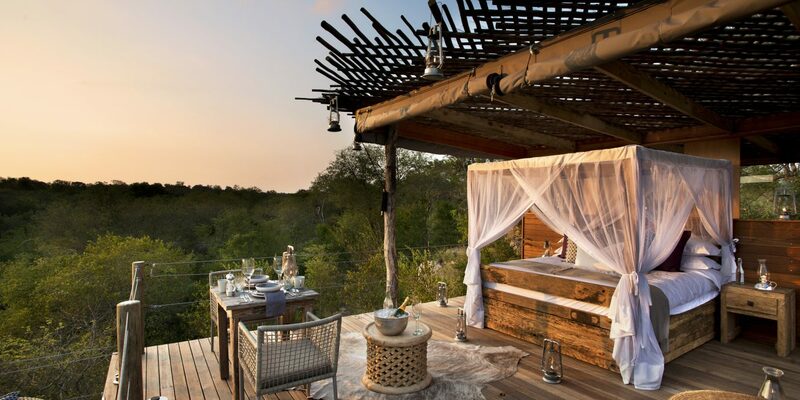 A family-run collection of five lodges across South Africa’s Sabi Sand Reserve and Kruger National Park, Lion Sands has three different treehouse rooms: Kingston, Chalkley’s and Tinyeleti. 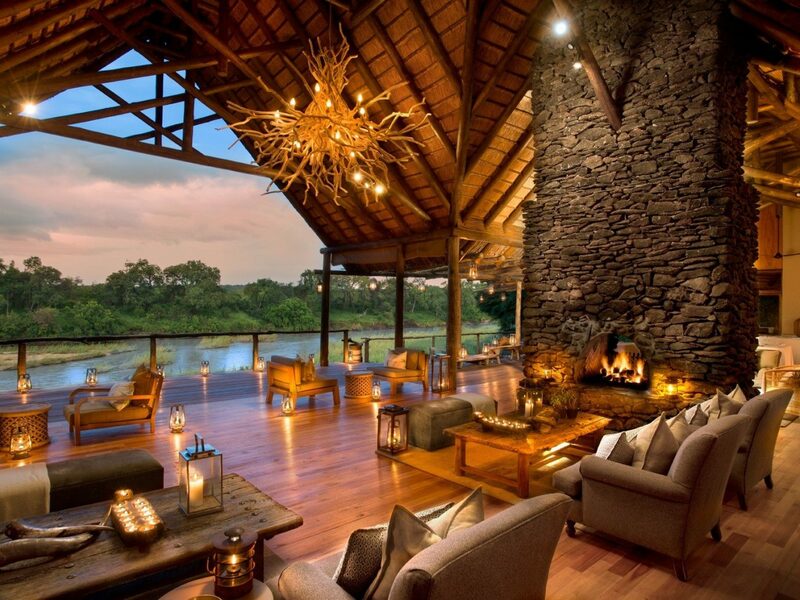 Kingston, in Sabi Sand, is made entirely of glass and wood and is ideal for taking in the views of the treetops and bush at sunset. The romantic Chalkey’s sleeps just two, and generally for one night only (there’s no shower as yet). 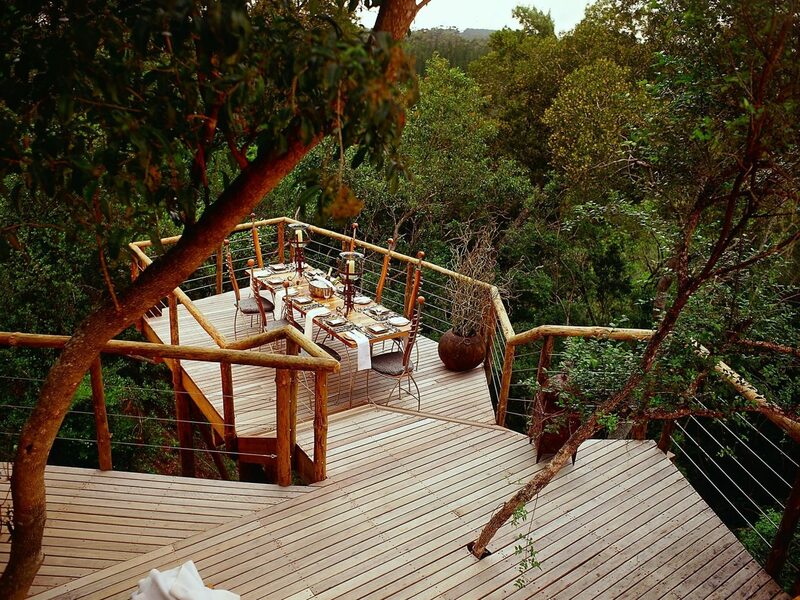 And in Kruger, Tinyeleti is the most remote of the treehouses, built beside the Sabie River, with a huge deck great for stargazing and tapas-style dinners. 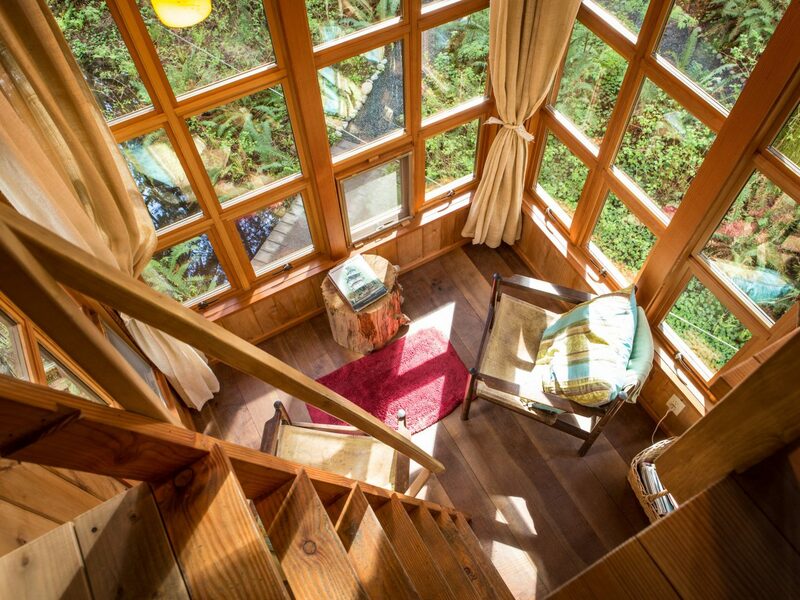 After building treehouses in the PNW for more than 20 years, Pete Nelson decided to take his skills and channel them into creating his own treetop B&B retreat. 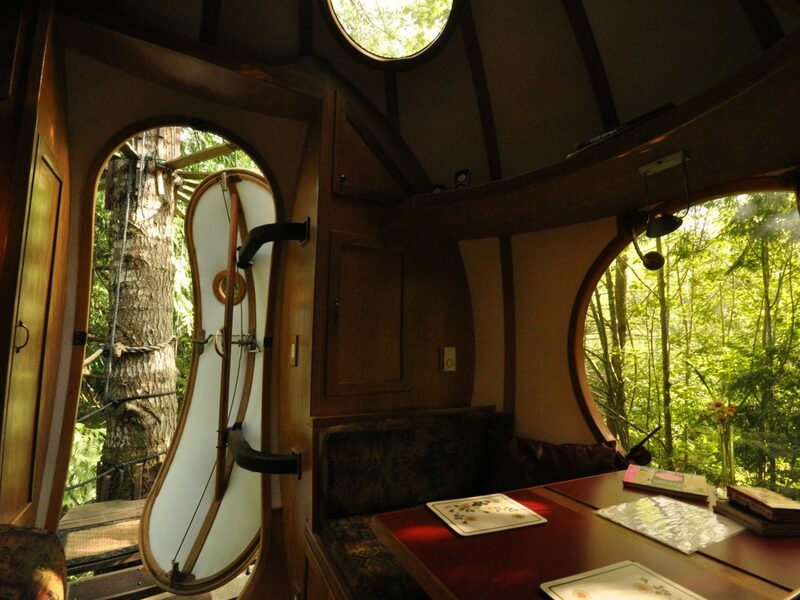 Just 30 minutes from Seattle, settling along the Raging River, Nelson and his wife began to make good on their vision in 2005, debuting a single treehouse – the Temple of the Blue Moon. Flash forward more than a decade, and they’ve added a handful of others. 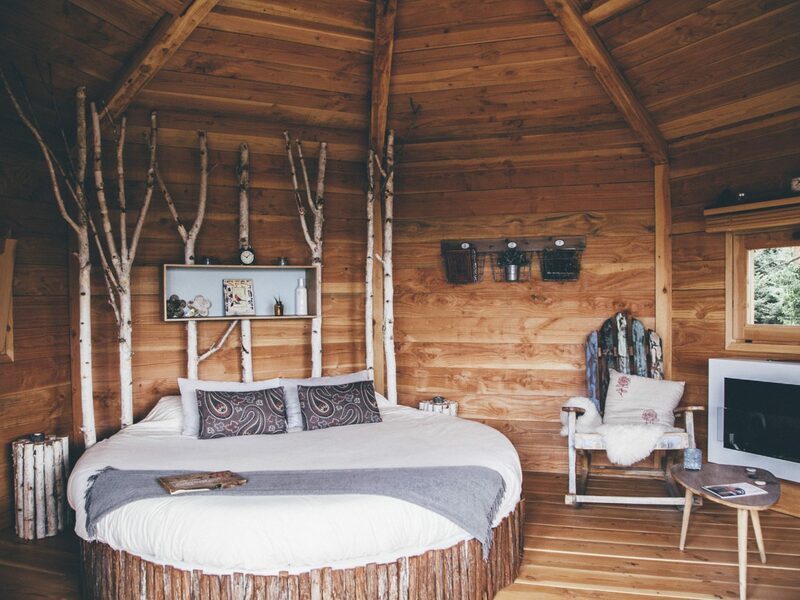 The six tree houses are individually crafted and furnished, but in most you’ll find comfy leather chairs and hand-hewn wooden beds which compliment the treehouses' natural surroundings. 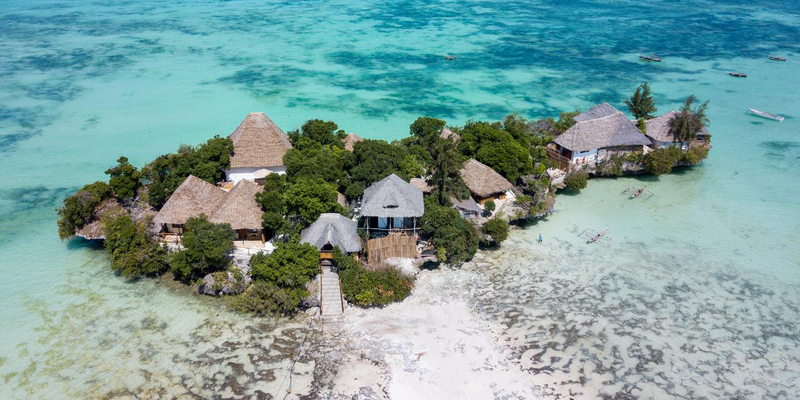 If you somehow aren’t relaxed enough, customized yoga, therapeutic massage, Tai chi, and hypnotherapy sessions are also an option. 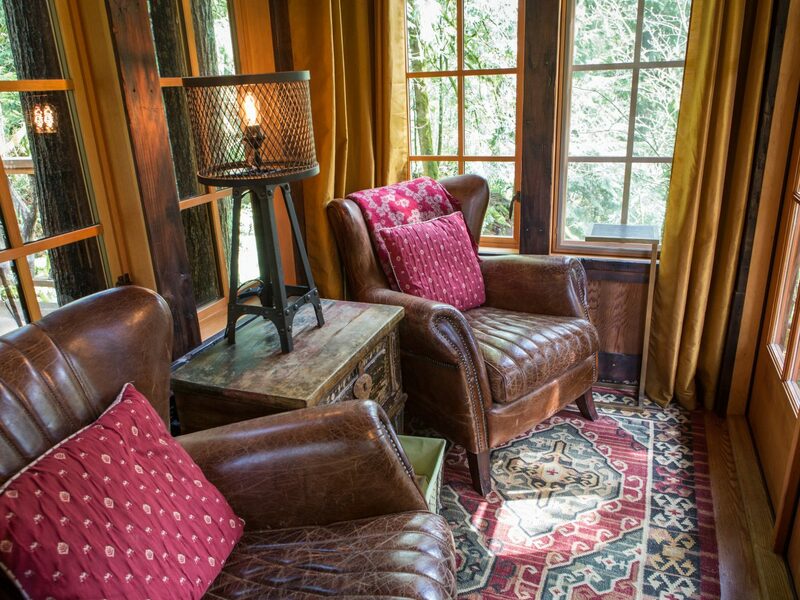 Rooms book up fast, but if you’re in the area anyways, you can always sign up for a 1.5-tour of the property. 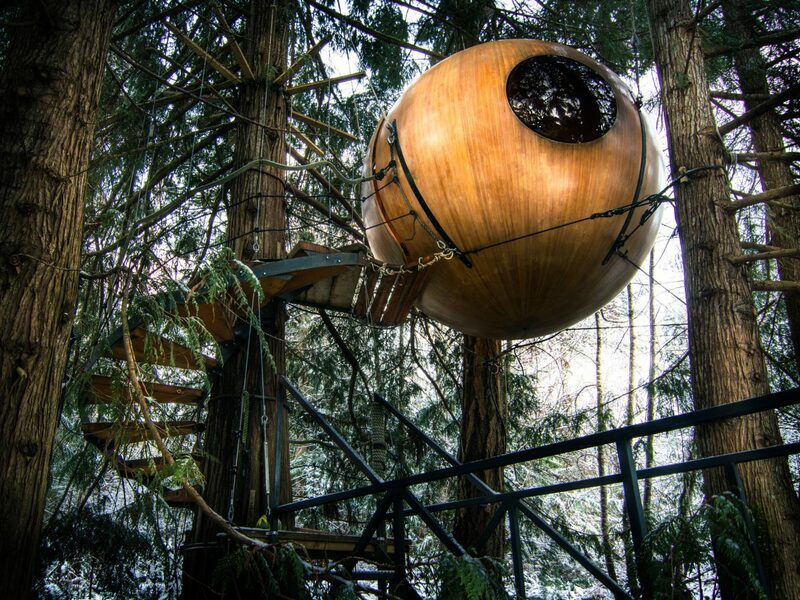 The cocoon-like treehouses at Free Spirit Spheres on Vancouver Island, offer a rare and welcome escape to nature. 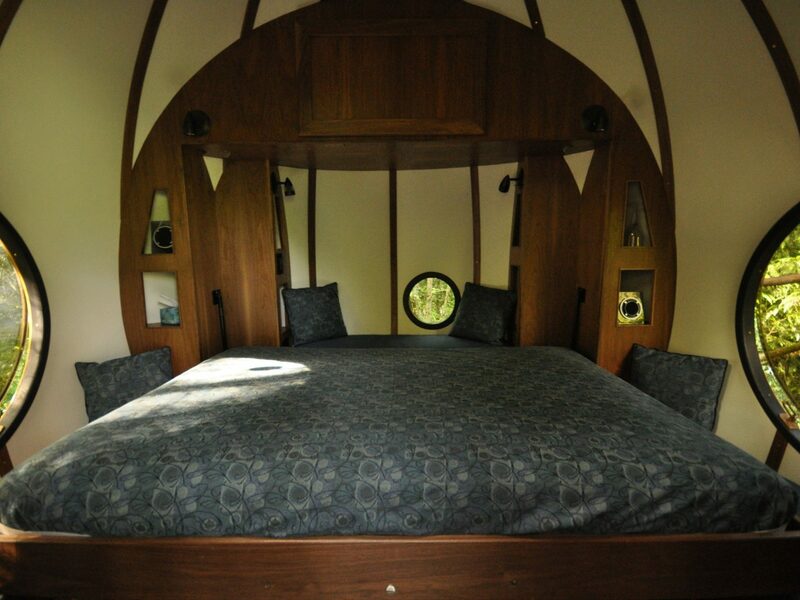 The three spherical bedrooms are suspended between slim tree trunks, and views of the surrounding coastal rainforest canopy are afforded through a number of circular portal windows. 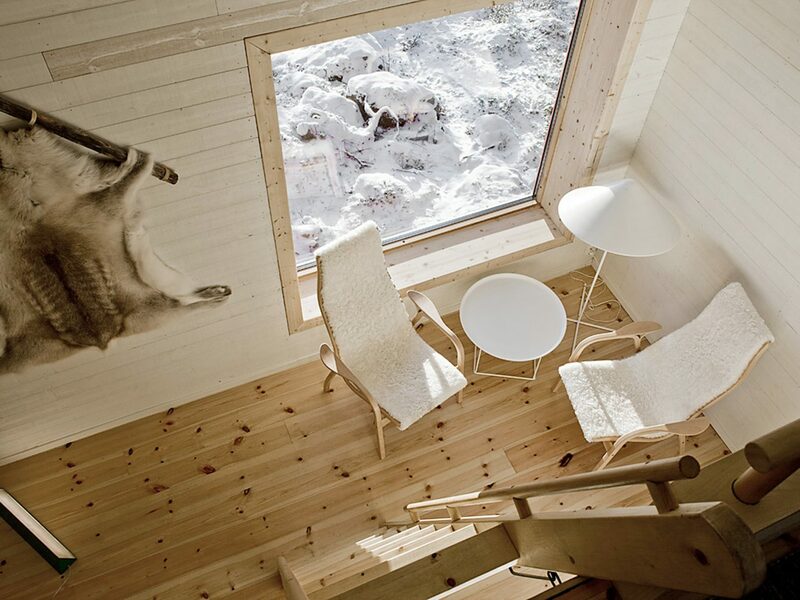 While the sphere's guarantee a flora and fauna-filled respite – even their environmentally harmonious design is biomimetic – creature comforts can still be found. 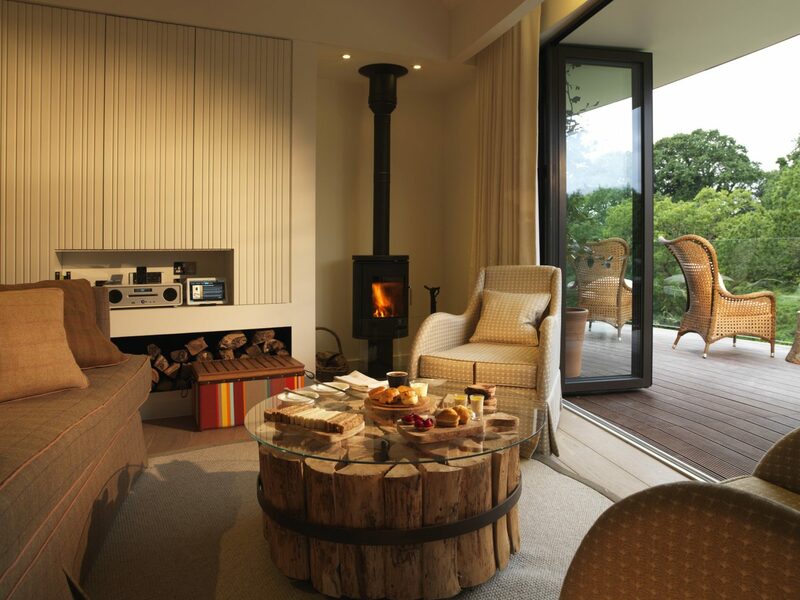 Check-in comes with a welcome basket, and each abode is complete with its own bathroom as well as electric compost outhouse down on the ground. 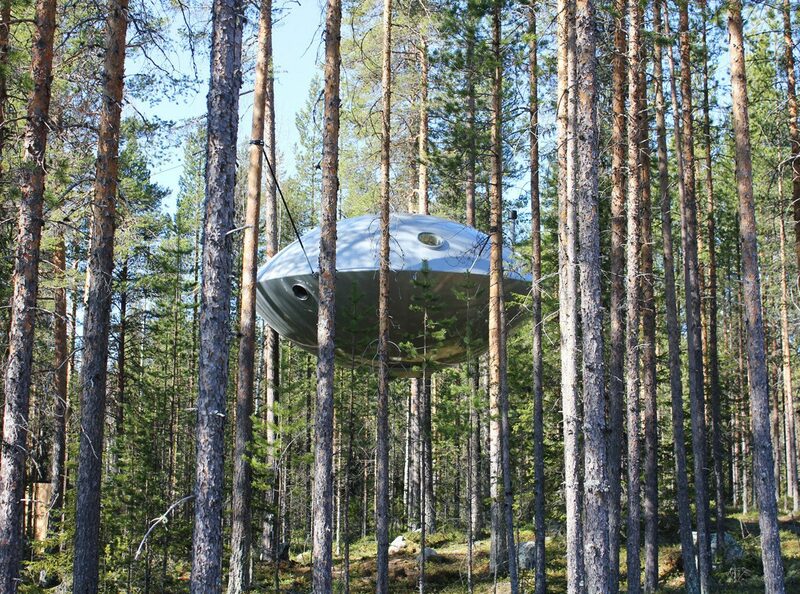 In the far north of Sweden, a six-hour drive from Stockholm, Treehotel is like a kid’s sketch of a treehouse brought to life. One seriously imaginative kid, that is. 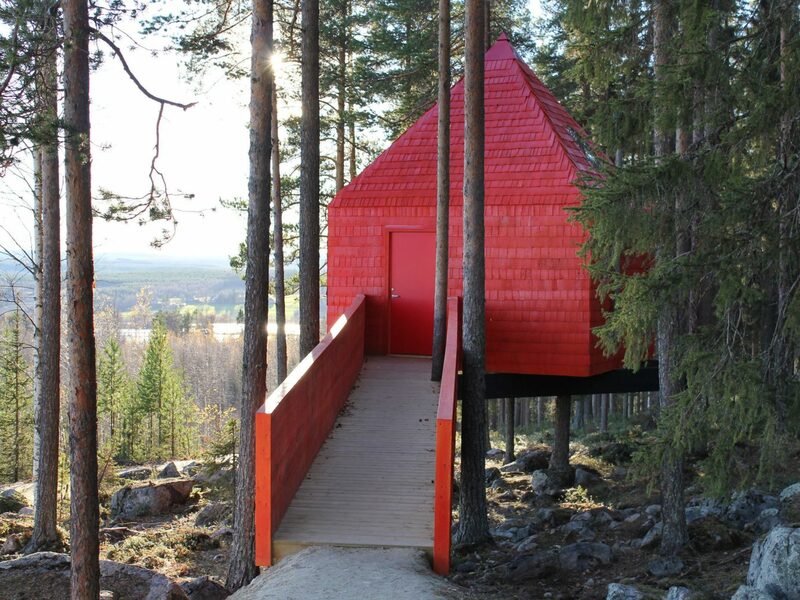 The seven structures were built by a range of leading Scandinavian architects and include the Bird’s Nest (which has just one window and a remote-controlled ladder, so you can be completely cut off from the outside world), the honeymooner-friendly Cabin, which overlooks the Lule River, and the Mirrorcube, which reflects the ancient pine trees that surround it. 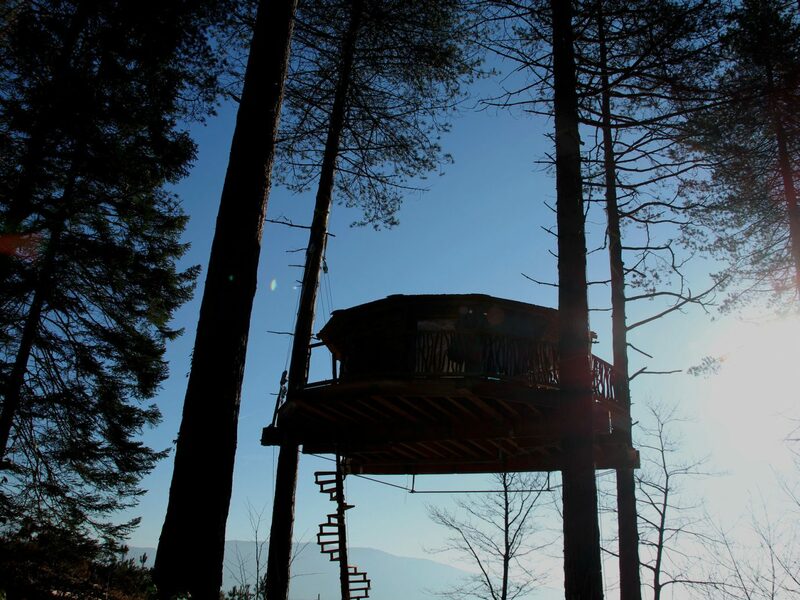 Check-in, meals and bathing all happen at the nearby Britta’s Pensionat hotel, a five-minute walk through the forest. 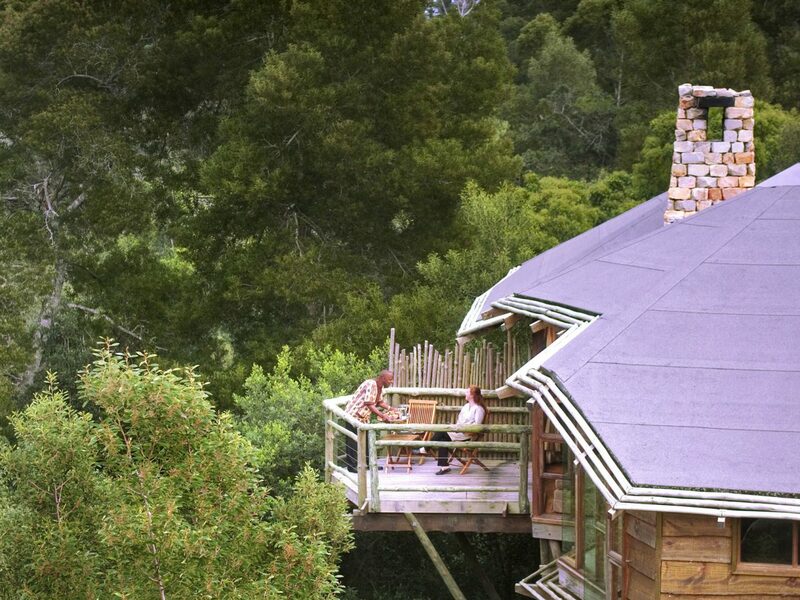 Tucked away in the Tsitsikamma Forest, along South Africa’s scenic Garden Route, Tsala Treetop Lodge is the Western Cape’s answer to luxe canopy accommodations. 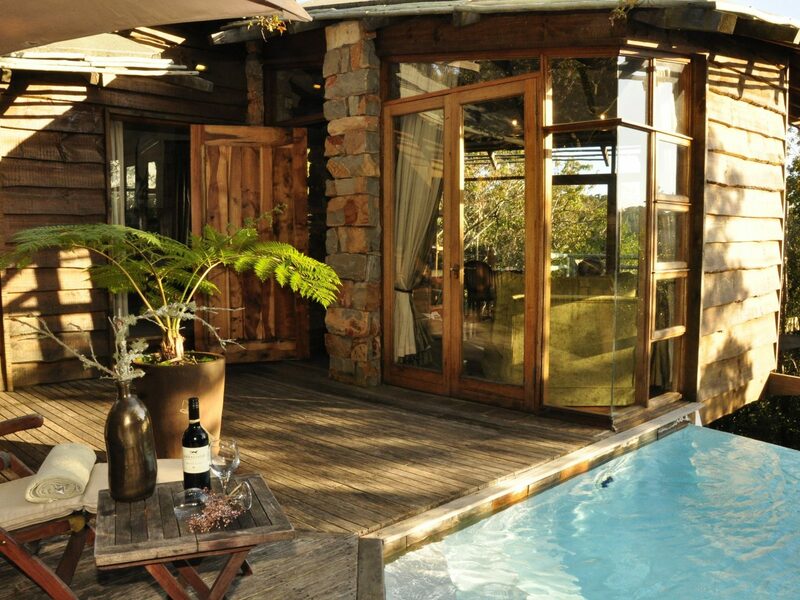 Ten treetop suites and 6 two-bedroom treetop villas – constructed of stone, wood and glass; with floor-to-ceiling windows, open-flame fireplaces, private decks, and infinity-edge plunge pools – sit in intimate seclusion. 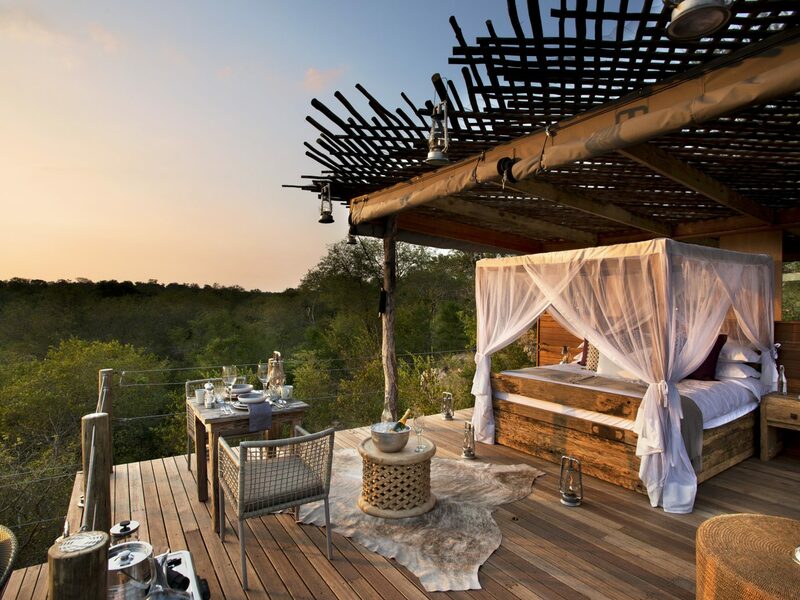 Bonus: a special elevated dining deck means you can maintain your sky-high perspective all day, taking every meal in a sun-drenched treetop setting. 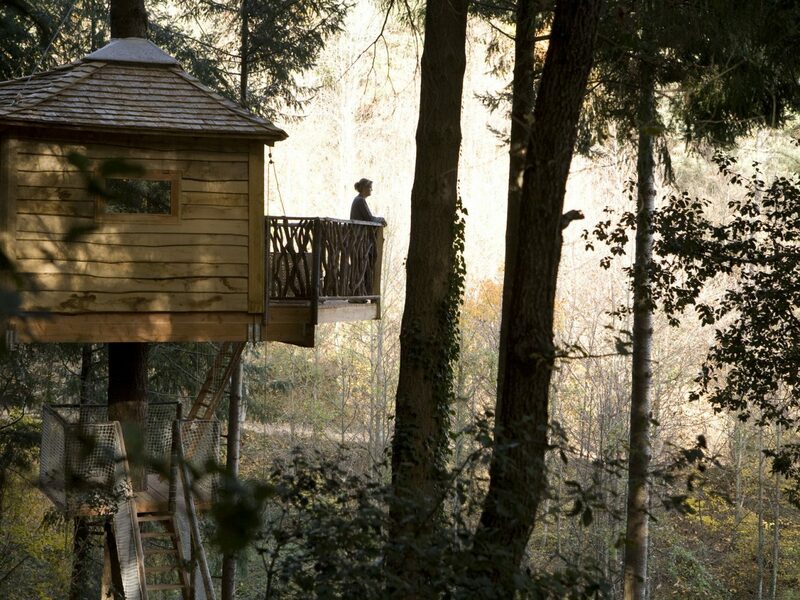 On 130 acres in England’s New Forest, Chewton Glen is known for its luxe spa, impeccable service, endless outdoor diversions and, since summer 2012, a dozen treehouses. 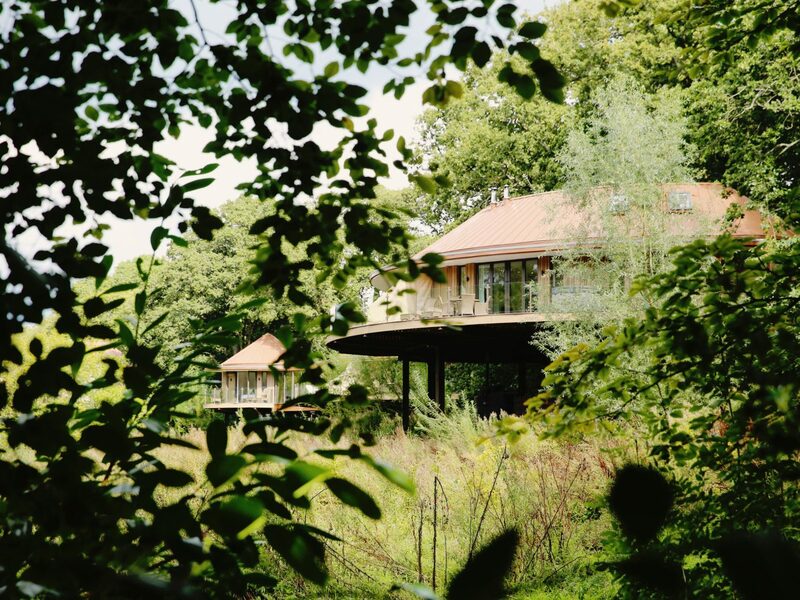 The stilted suites are designed to blend into the landscape and interiors are all natural woods and earth tones, with balconies that look out onto a wooded valley. 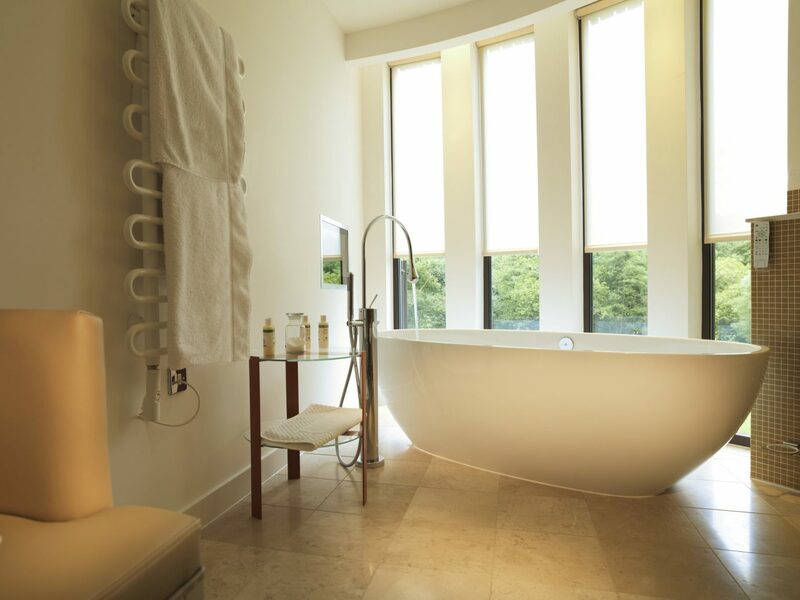 You can reach the main hotel via a golf buggy or short stroll, but the en suite kitchenettes and daily breakfast delivery make it easy to hole up on high. 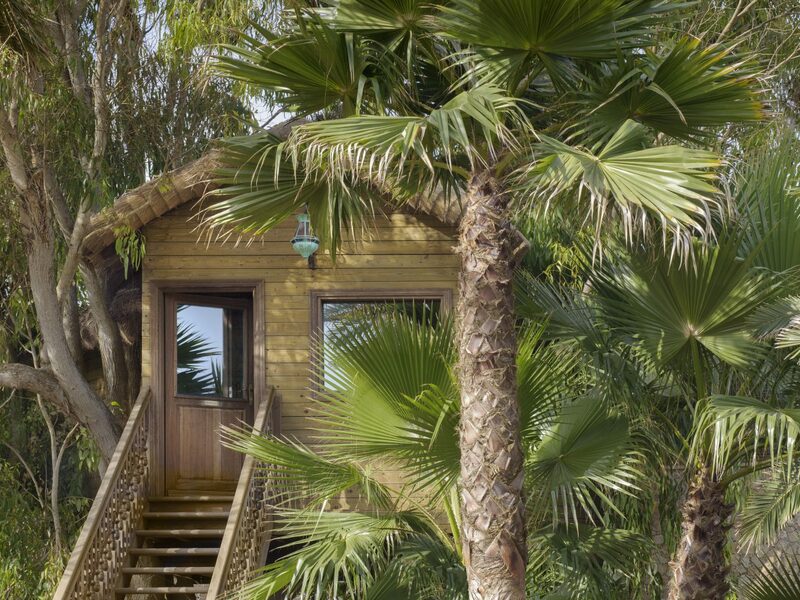 Forget the basic pines and firs most treehouses rely on – La Sultana Oualadia’s Treehouse Suite sets a precedence among the palms that sway on Morocco’s Atlantic coast, nearly equidistant between Marrakech and Casablanca. 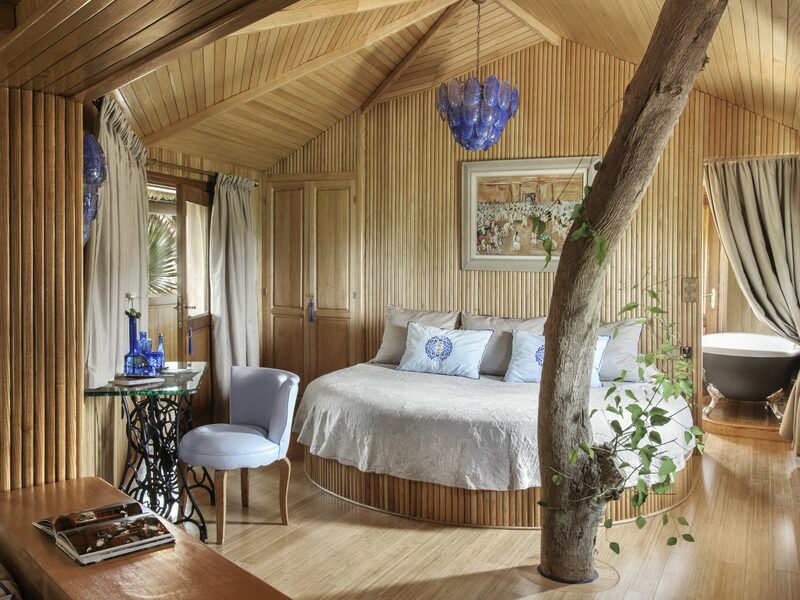 The light-flooded space – the only of its kind on the property – features gentle, taupe interiors and ceilings crafted from local Oleander branches. 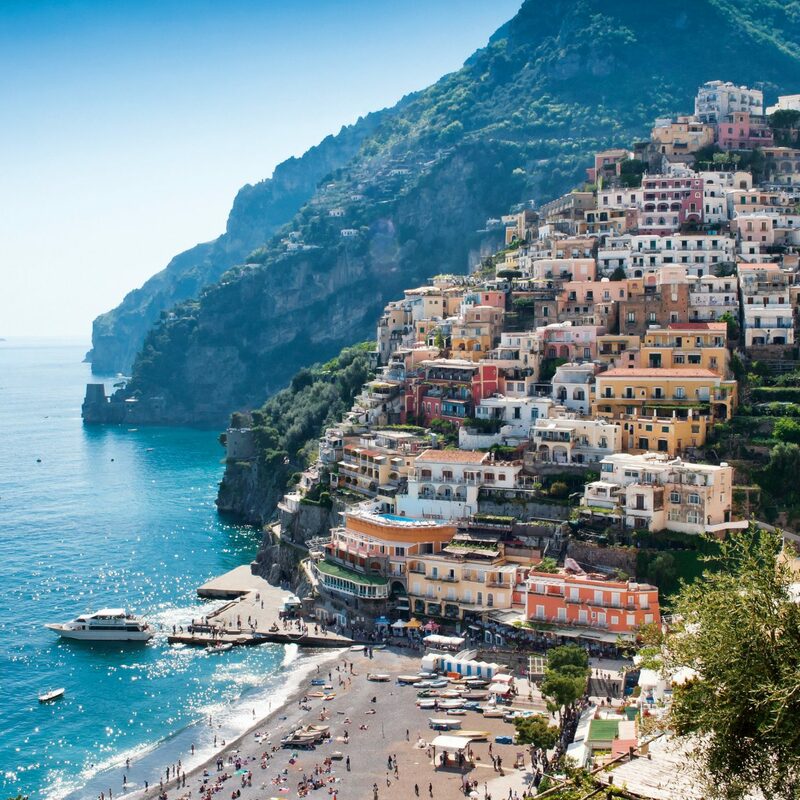 But it doesn't stop there; the rest of the luxury resort is just as stunning. 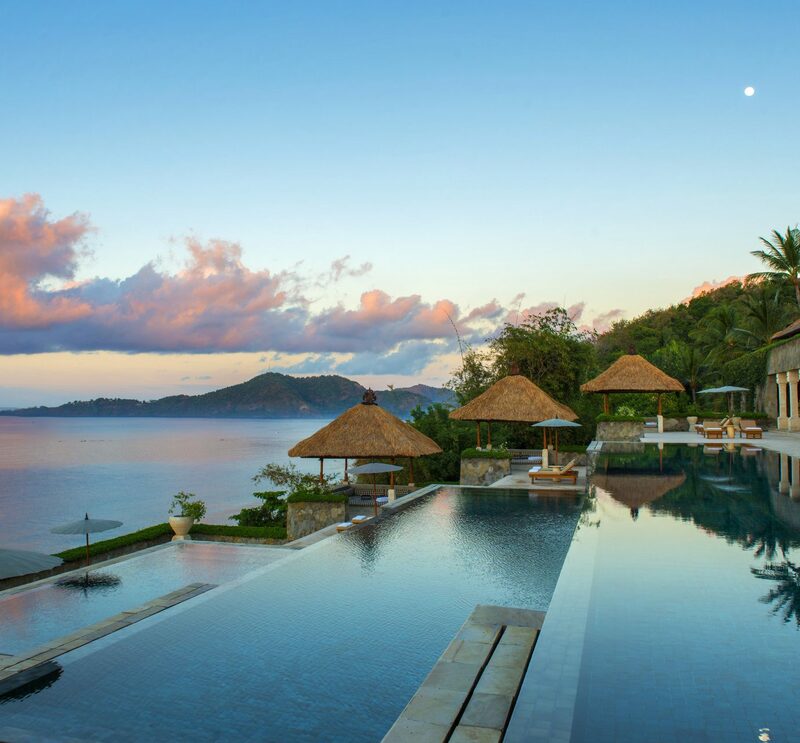 Enviable offerings include elegant Moorish architecture, an osmotically-filtered infinity pool, massage huts, and beachfront dining. 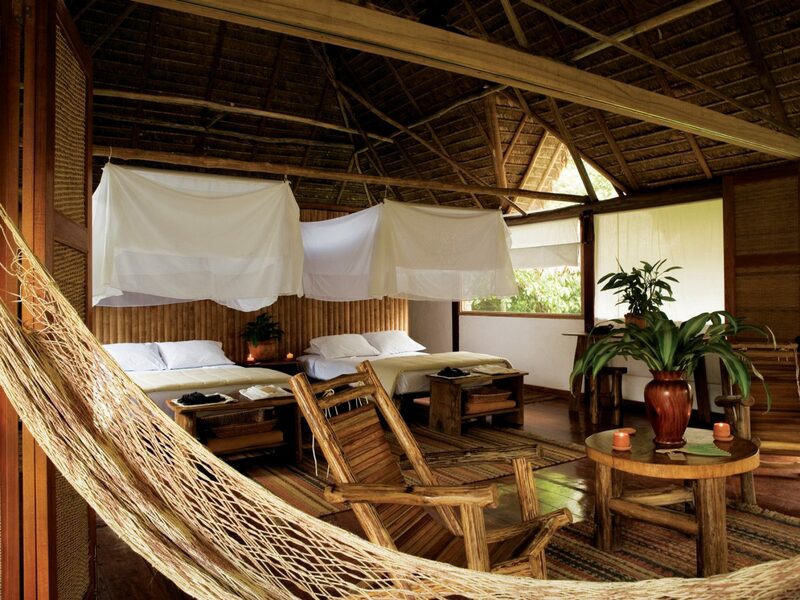 If you’re looking for five-star amenities, Cabanes als Arbres certainly isn’t your place. 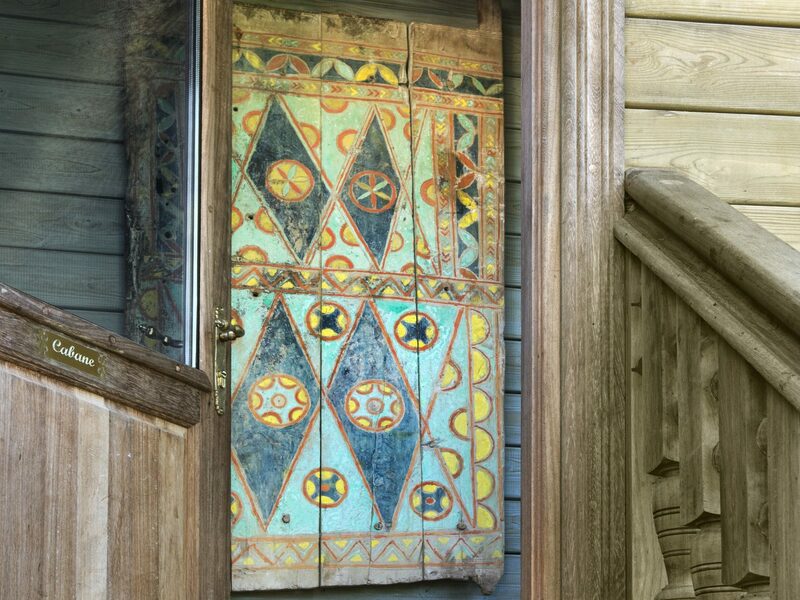 The Northeast Catalonian retreat’s ten treehouses are sans running water and electric, after all. 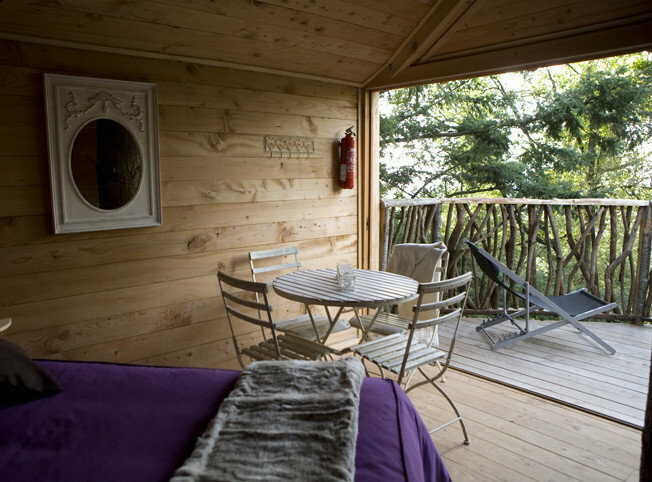 But, perhaps more importantly, you can order champagne and peer in the Pyrenees from your private balcony. Another perk? 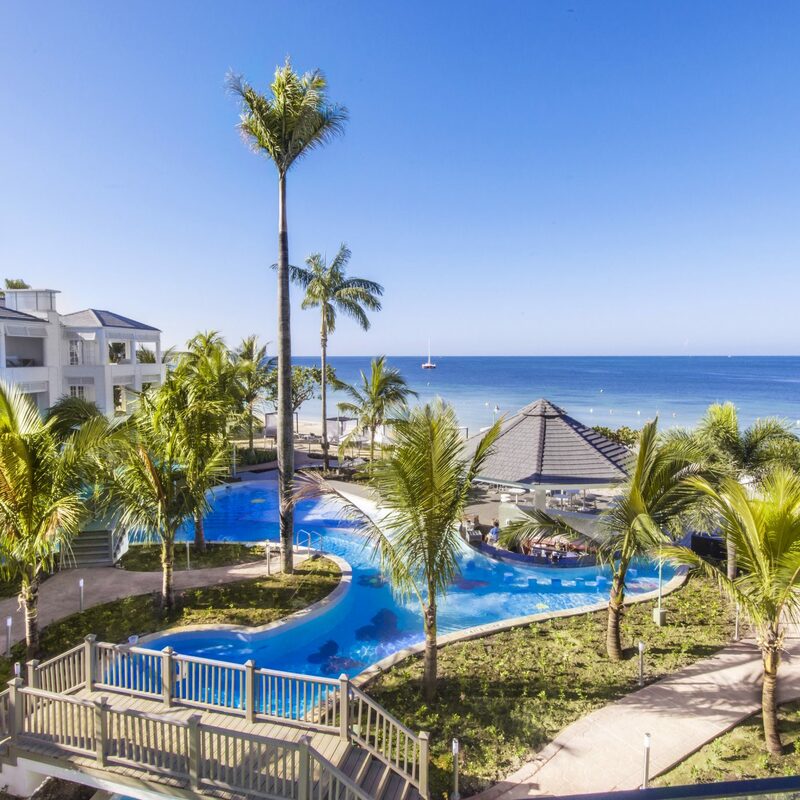 Mornings are welcomed with cabana-delivered breakfasts – simply hit the deck to reel in your meal via a pulley-rigged wicker basket.